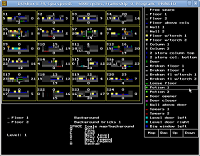 Princed is a Prince of Persia 1 level editor for DOS. Version 2.5 FINAL was released by Enrique P. Calot on 29 April 2003. 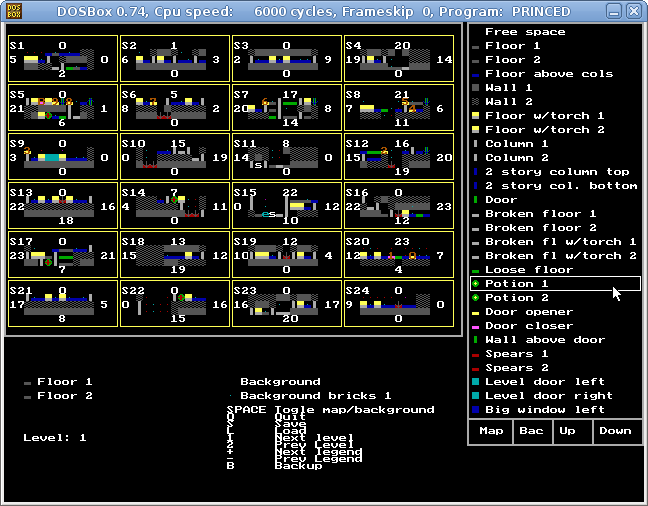 A Windows version of Princed was under development. To load other levels, use PgUp/PgDn. Version 3 alpha7 was released on 11 October 2003.